I really enjoy writing dystopian science fiction, so I was really pleased when Perihelion picked up my short story Castle of the Slave. It’s also good to write something in that genre where the hero is an elderly woman in a sedentary job. Not your usual key character, but I like her, and her bravery at the end of the story. Or craziness, depending on how you look at it. I really liked your story, and the efficiency you employ to show how bleak her existence is, and her ferocity defending what she believes is hers. 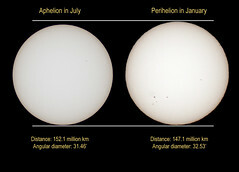 How choosy is Perihelion? I’ve never run across that site before. Are they SFWA-accredited? Hi Tom – thanks for the comment. Perihelion is not a qualifying market for SFWA, I don’t think, but I’ve had a really good experience with them and have got another story placed with them.